We recommend creating a new planbook each year. 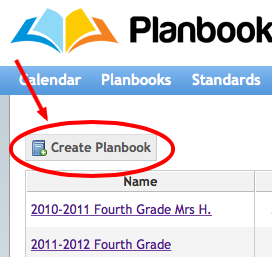 This allows you to reference your previous plans by switching back to your old planbook. You can switch between planbooks by clicking Planbooks in the blue navigation, then click the name of the planbook you'd like to view. To start a new planbook click on Planbooks in the blue navigation bar. Then click the Create Planbook button. When you do that you have the option to copy your old planbook. It will take your plans from the old planbook and put them in the new planbook, adjusted for the calendar for your current year.